Silly, sweet and happy—there’s so much to love about Mandolin! We think you’ll quickly fall in love with this gorgeous girl. Adopt Mandolin today! Big fan of: Playtime! 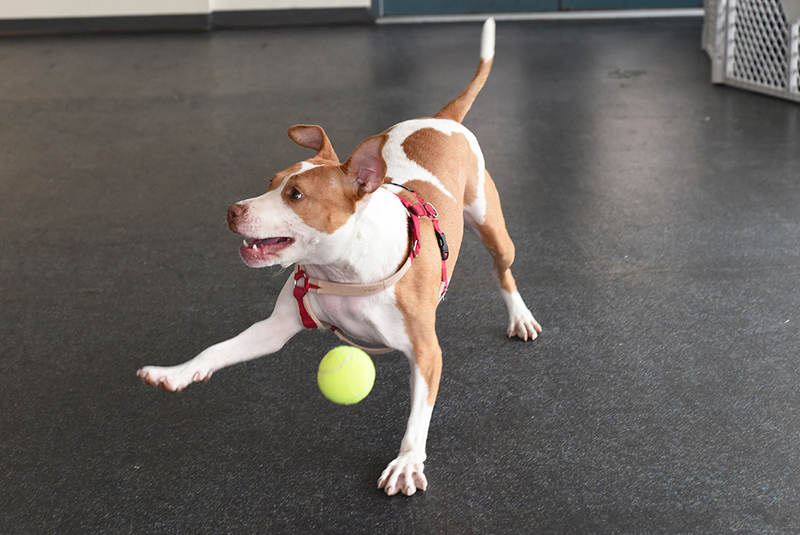 Mandolin would love to show you all of her favorite toys and how well she can fetch a ball. 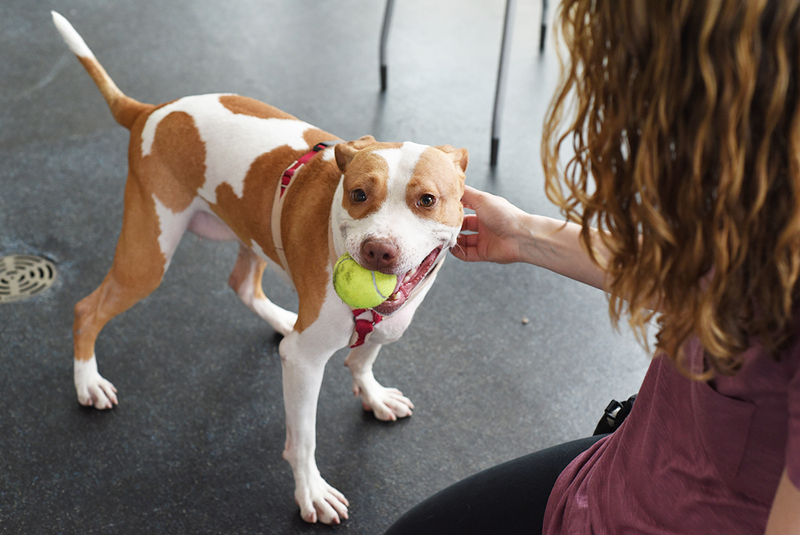 This energetic pup loves to play, make new friends and be pet. She is very friendly and sweet. She likes most dogs, but should meet any new dog friends in a one-on-one setting. Special features: Mandolin already knows “sit” and “down”! This smart girl is eager to learn a few more tricks, especially when she’s rewarded with a treat. Mandolin likes to chase birds! 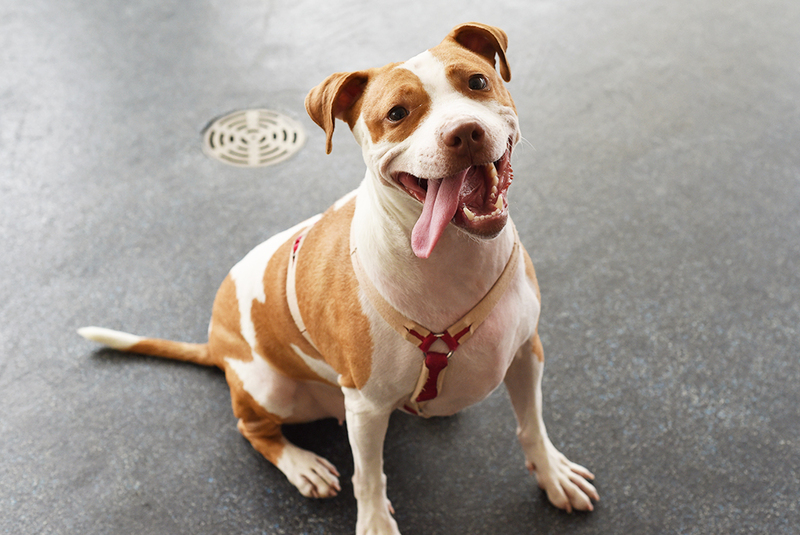 Our Behavior team can give you some tips to help her walk nicely on her leash when she passes her feathered friends. With guidance and supervision, Mandolin will quickly learn to only use the bathroom outside. Dream home: Mandolin needs an experienced adopter. She would like to join a home with kids 10-and-up.